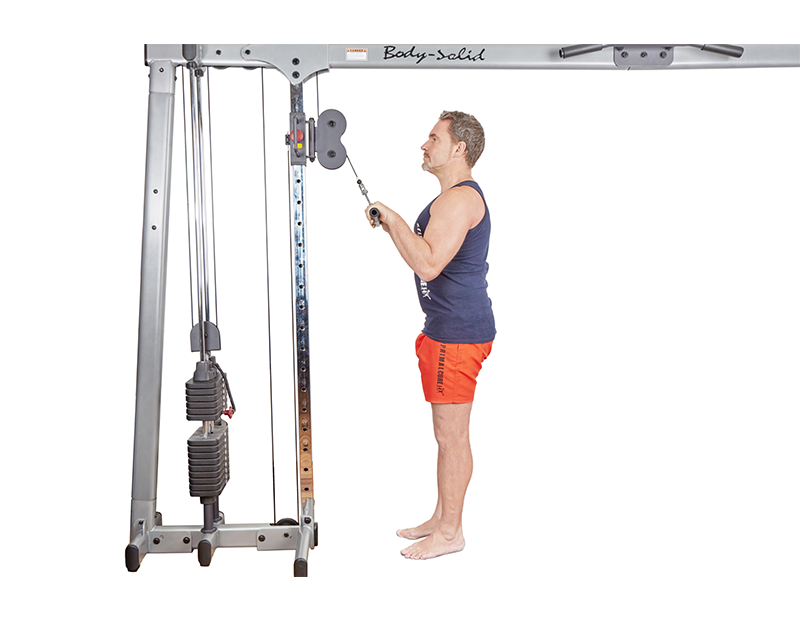 Attach to the high pulley and hold shoulder width apart, with knuckles facing the ceiling. Pull your shoulders down and then back and don't move them at all during the exercise. Pull your elbows into the side of your abs. Keeping the body upright and leaning neither forwards or backwards, push your arms down until they are completely straight and your elbows are locked. Slowly bring back to the starting position without moving your upper arms and keeping your elbows locked in to the side of your abs. 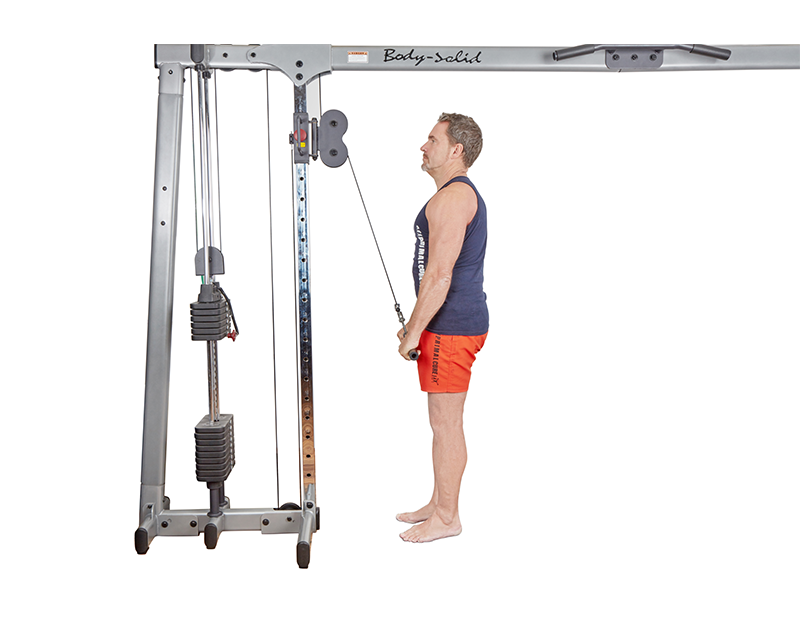 If you perform this exercise strictly, you will be surprised how you triceps will burn, even with quite a light weight.